We like to describe these as Yellow Canary meets Bird of Paradise. The flecks of colour on these tassels will be singing all the right notes on your ears. 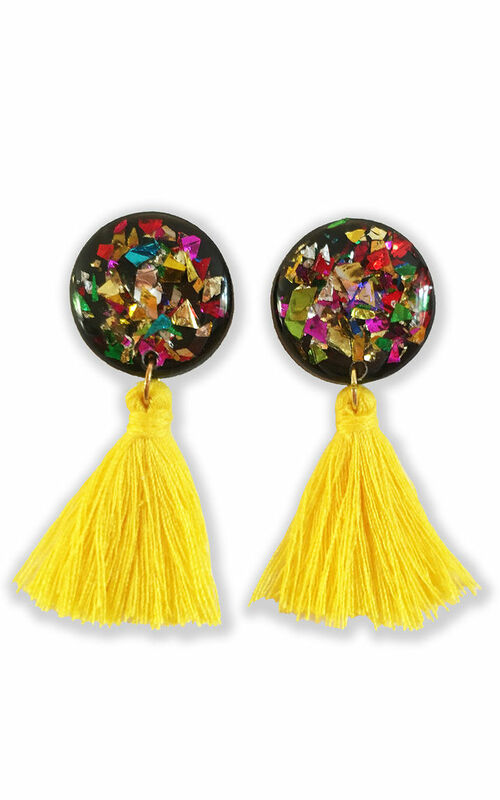 A black and yellow statement earring comprised of two elements. 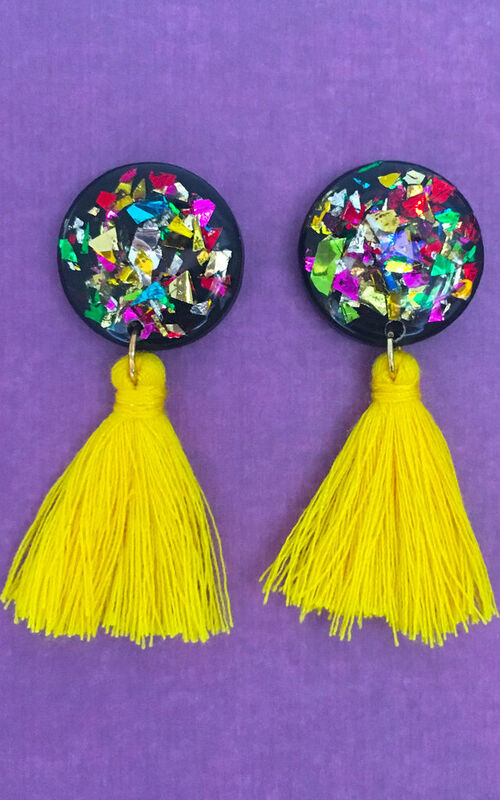 A small circular 2cm disc hand painted black with multicoloured flakes of glitter finished off with a small 3cm canary yellow cotton tassel. The components are of lightweight wooden construction coated with a deep gloss protective resin. All earrings come with stainless steel backs. Designed and created in London and come packaged ready for gifting. Please leave a note at checkout if this is a gift and you would like a gift receipt included or a special note to go alongside. As each earring is handmade and made to order there may be slight differences in colour and finish between each piece. However, its purpose and function will not be effected. Every effort is made to create identical pieces and only the highest quality pieces will be sent out. We want you to love our products as much as we do!